That is the only realistic thing I can see happening, I don't see Edler waiving and moving Edler or Tanev sends the wrong message that we don't believe in the guys right now. Playoff experience is invaluable, its the reason why teams like Buffalo, Florida, Oilers have been perennial losers. Don't have the time right now to read past page 3. However from the highlights and of course following the team i can say this. I don't always agree or understand Travis Greens lines or deployment but the proof is in the silky golden pudding. When you have a coach who can extract hard work from a team like a juicer makes juice don't question the blades. We've got the structure and the motivation to make a little run here. The only question to answer at the moment is do we have the personnel? I was thinking ther same thing. When we first got him, he was like a shiny new toy. Then he kind of faded into obscurity/indifference. Tonight, it was as if we found the shiny toy again after 3 weeks, and it's a great feeling. Ok, a little tipsy, but boy was he fun to watch tonight! 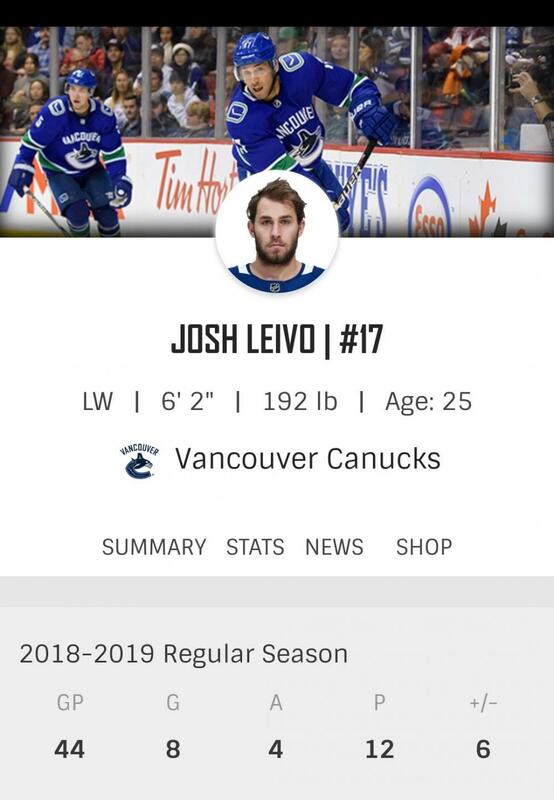 Leivo didn't play well for a couple games leading up to his back spasm problem and getting put on injury status... then it took a game or two to get up to speed after he came back. 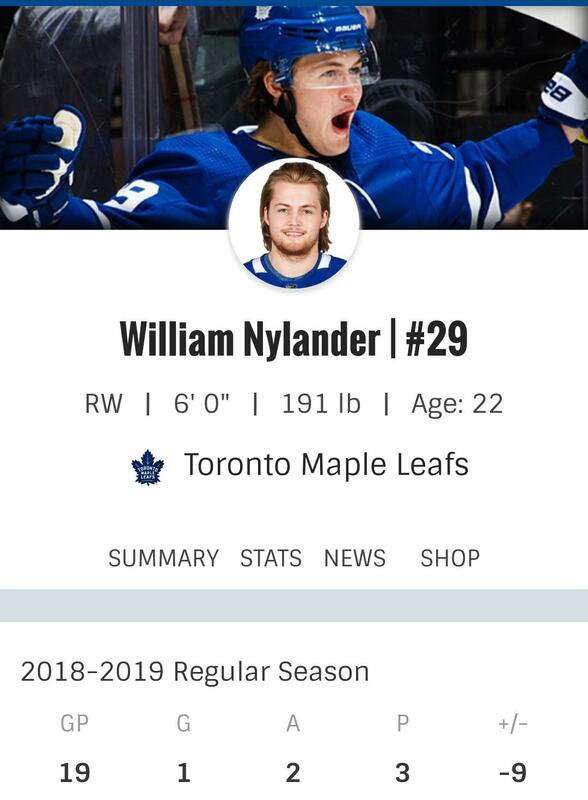 What we saw vs Buffalo is the way he was playing when he first arrived. Assuming he stays healthy, there is no reason not to think he can't keep it up. Damn, sounds like I missed a hell of a game. Horvat 2 points, Boeser goal, and a stellar season debut for Demko. Christmas came early. I really like Leivo's game. More of a north south, and some decent mitts. I've wanted to get him from TO and was pumped when we did. So far so good. Good to see Bo and Boeser get 2 points each after their slump. Great first game by Demko with 36 saves. Edler hitting on everything like its prom night. Hell even Pooalot had a decent game with a great set up. Overall good win by the Canucks who are currently in a playoff spot if the season ended today. @StealthNuck Can we make this happen? Alpha dog Beagle barking on the ice at the end. Best signing for this team in recent memory. I hope the other prospects pan out. As I do believe this was Canucks last chance at getting another top young player in the draft for the next decade. 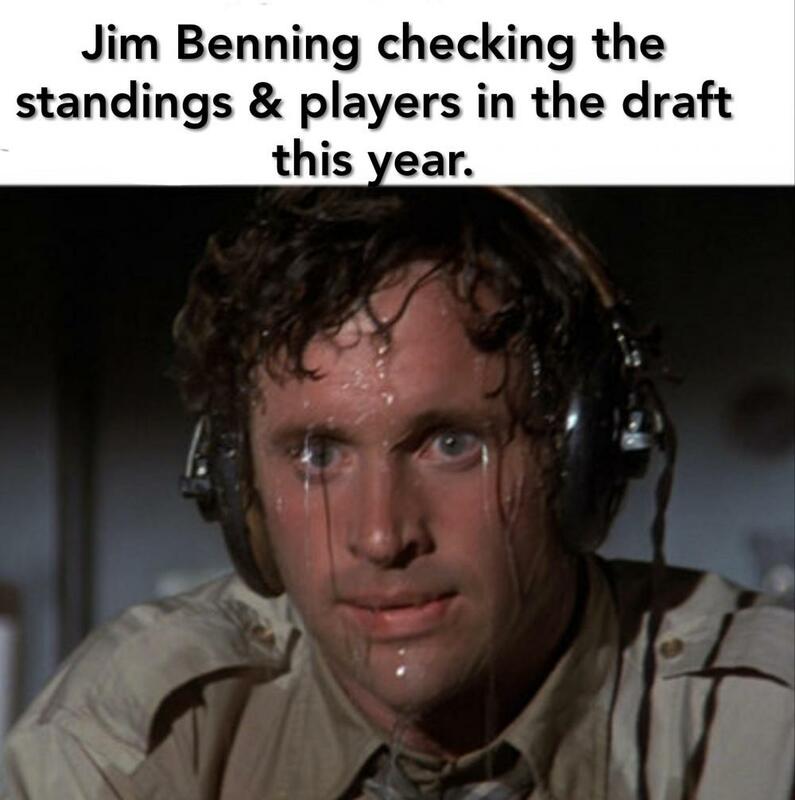 I sure hope theres alot of stupid GMs with bad scouting at this years draft so JB can have a chance to draft a good future NHL player. I totally underestimated how many crappy teams there would be in the league this season. Don’t be fooled Canucks aren’t that good yet, unfortunately tons of other teams are worse.... I’m still on team tank for this season. We need a solid draft this year. 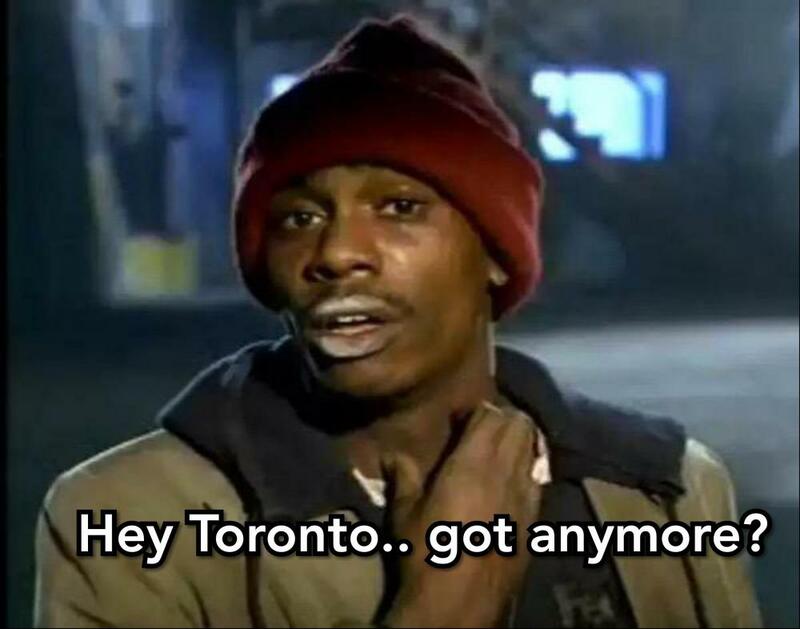 Add at the deadline ? Yes!!! Screw the draft, it's the Playoffs Baby!!!!!!!! Hopefully Jake will get going, and becomes more then he’s been, if Jake figures things out it would be huge. it seems like a lost art. 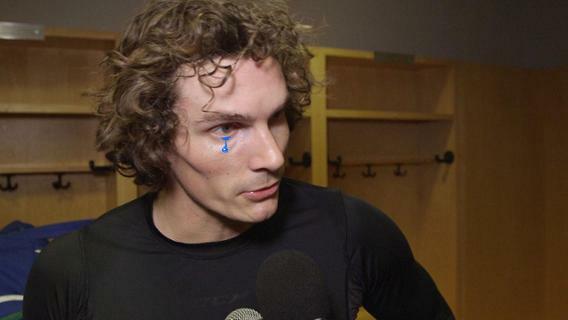 Love how Brock looked after he scored his first goal since pettersson has been out . He was unbelievably dangerous after that goal. This team is still just getting going. And it's gonna be amazing to watch when it does get going !